Police have released two CCTV stills of a masked man who robbed a petrol station in Harrogate. 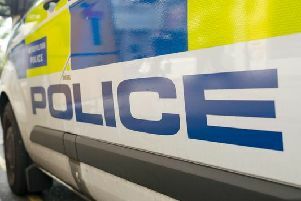 The incident happened at the Esso petrol station on Skipton Road at 3.45am on April 5, when a man carrying a knife approached the cashier and demanded cash and cigarettes. Anyone who can help detectives with their enquiries should contact North Yorkshire Police on 101. He left with a small amount of money and tobacco products, and was last seen heading in the direction of Majestic Wine, opposite the petrol station. He was wearing a white balaclava and thick black coat with the hood up. He had black gloves, black jeans and black trainers. Investigations are ongoing into the identity of the man in the CCTV images. Officers are particularly keen to hear from any witnesses, or anyone who was driving in the area and may have relevant dash-cam footage. A 21-year-old man has been arrested in connection with the incident, and has been released on bail. Anyone who can help detectives with their enquiries should contact North Yorkshire Police on 101, select option 2 and ask for Harrogate CID. You can also contact Crimestoppers anonymously on 0800 555 111, quoting reference number 12190060727. These are the 7 most targeted streets in Harrogate for burglaries in 2019 according to police - how does your area compare?